Research the (basic) properties of at least 5-10 LKTS, and develop the market (different segments) to introduce them within three years. The selection is focused on species which are rather good available. Develop a tool (like a roadmap) as a guide for individual companies to organize the R&D of LKTS by themselves in the future. Already five European importers are committed to this Lesser Known Timber Species project, and it is expected that some more importers could get involved. 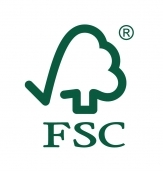 Participation by commercial partners, of for example the Congo Basin Program, means that the forest company will inform FSC Netherlands regarding their LKTS, the availability thereof, and their knowledge and experience with the LKTS. Furthermore, forest companies are asked to help in the selection of LKTS for research and marketing, and to cover the shipment of some trial parcels. Total duration of the project is approximately 3 years. The LKTS project will be led by the consortium (European importers together with FSC Netherlands). If you are interested to find new markets for your LKTS, please contact us.